U.S. Senator Elizabeth Warren (pictured above) is a candidate for the Democrat Party’s presidential nomination for the 2020 election. Consistent with her strong left-of-centre political leaning, she has introduced a legislation called The Accountable Capitalism Act that would alter corporate governance profoundly in the United States. The main intended beneficiaries of Warren’s proposed legislation are workers employed by medium-sized and large U.S. companies. Among other things, her bill would require that employees elect at least 40 per cent of the directors of the companies where they are employed. It would also require corporations with more than US$1 billion in annual revenues to obtain a federal corporate charter (currently, U.S. companies are chartered by individual states). The federal charter would require corporate directors to consider the interests of all major corporate stakeholders—not only shareholders—in company decisions. Directors could be sued if they don’t fulfill this broad obligation. 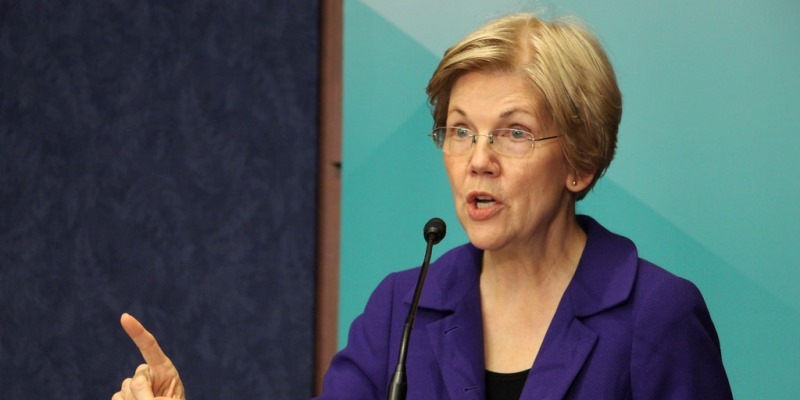 Warren’s proposed legislation borrows in spirit from the corporate governance models of some Western European counties that legally empower workers relative to their employers, including mandating employee participation on corporate boards and in important strategic decision-making. American companies would become “benefit corporations,” a designation that gives managers and directors fiduciary responsibilities beyond their responsibilities to shareholders. In other words, large U.S. companies would be legally mandated not to maximize profits for the benefit of their owners. In making the case for her bill, Warren invokes a caricature of Milton Friedman’s classic argument that the social responsibility of business is to increase its profits. Specifically, she argues that a strict focus on profitability means that companies will ignore the welfare of their employees. Of course, as Friedman recognized, companies that ignore the welfare of their employees, and other important stakeholders such as consumers, will ultimately put themselves into bankruptcy. Cultivating unhappy employees and customers is a recipe for losing money rather than maximizing profits. As evidence that companies have failed to give workers “what workers have earned,” Warren cites data showing that, since the 1980s, real wages have stagnated, even as productivity has increased. Others besides Warren have highlighted a growing share of income going to capital relative to labour as evidence of failure in the modern capitalist system and, therefore, a justification for government intervention to strengthen the legal protection of company employees. Indeed, President Trump’s tariff war can be seen as another misguided attempt to raise the real income levels of workers in specific manufacturing sectors by restricting the operation of the free market. By some measures, labour’s share of U.S. gross national income has decreased by about 8 percentage points since the late 1970s. However, the decline primarily reflects two factors. One is the Bureau of Labor Statistics arbitrarily apportioning a share of self-employment income as a return to capital rather than a return to labour. A second is effectively treating depreciation as a source of income to capital rather than an expense by looking at capital’s share of gross (rather than net) national income. If self-employed income is measured as a return to labour, and if factor income shares are measured after depreciation is deducted from capital income, the share of income going to labour is about the same as it was in the 1970s. It’s also interesting to note that conventional measures of labour’s share of gross national income declined in almost all developed countries including Canada from 1970 to 2014. This includes declines in countries such as Germany and France, where workers enjoy relatively strong legal protections and mandated participation in corporate governance. What’s equally important is that the U.S. corporate governance model has delivered the goods in terms of economic performance. In 1972, gross national income per capita in the U.S. was about US$2,600 higher than in France and Germany. In 2016, per capita income in the U.S. was around $13,000 higher than in Germany and about $18,000 higher than in France. By this measure, Canada has no bragging rights. In 1972, per capita income in the U.S. was only about $1,000 higher than in Canada. By 2016, the U.S. premium was approximately $13,000. While it’s unlikely that a Republican-controlled Congress will approve Warren’s bill, it suggests the policy direction the Democrat Party will take if it regains control of Congress. If Warren’s bill ultimately becomes law, it will represent a strong self-inflicted wound on the economic capabilities of U.S. corporations. Canada should avoid following the U.S. down a path to corporate socialism. Indeed, the data on changes in living standards suggest that Canadian companies should be as ruthlessly profit-maximizing as Senator Warren’s characterization of U.S. companies.